You are here: Home / Finance / Couponing / FAQ About Coupons: How Many Do I Have To Buy? FAQ About Coupons: How Many Do I Have To Buy? I get asked this all the time: “How many do I have to buy on a 10 for $10 or 5 for $5 sale?”. When I would to see these types of sales in the past I would automatically either purchase ten or not purchase any because I didn’t want ten. Now that I look back on it, I think how silly of me to think that way. But, honestly it’s what the store wants you to think so that you will buy ten! I cannot tell you how many times people have told me that they thought the same way! It’s tricks the store’s play to get us to spend more money and get us to do what they want. Also, be sure it’s a real deal. Often they will RAISE the price to add something to a 10 for $10 or 2 for $3 and so on. That’s why it’s important to know the prices of the items you purchase on a regular basis. Make sure to use your price book to help you determine if a deal is really a deal! So, the question is, do you have to buy 10 when there is a 10 for $10 sale? The answer is no, unless the store requires it. If they do require it, it should say so in the ad. Many times these sales are linked to getting money off at the register, when you buy 10 participating products. 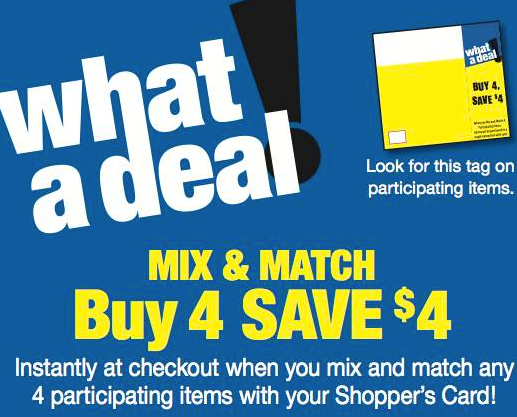 Those sales will generally say something like “Get $5 off instantly when you purchase $5 in participating products, mix or match”. So, while you do have to buy ten participating products sometimes – you normally do not have to buy ten of the same item. But, if there is a 10 for $10 sale that doesn’t offer money off at the register when you buy 10 or more participating products – then the cost of the products are just $1 each and you can buy 1 or 20 and they are still just $1. 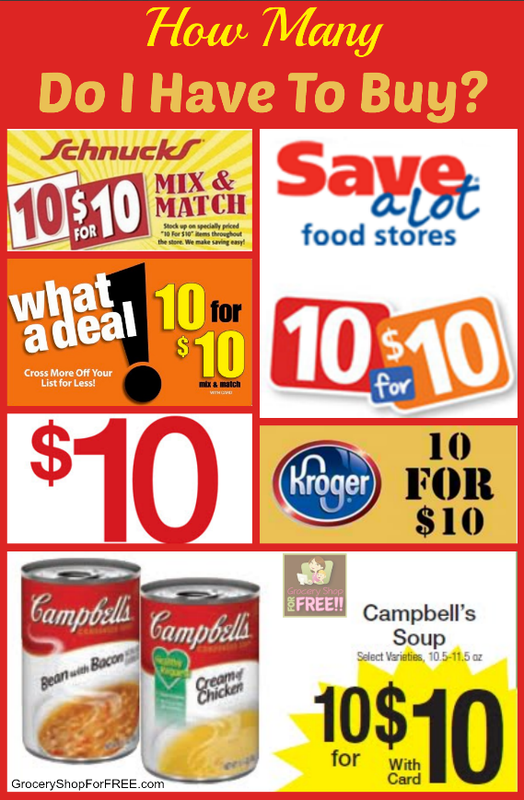 You don’t have to buy ten unless otherwise stated on signs in the store or the store ad. I have been using 10 for $10 as an example, but I have seen 5 for $5 and 8 for $8, but the above applies to all of those. I hope that makes sense! Make sure to let me know if you have any other questions you would like me to answer for you!